Overwintering your garden and using proper lawn care can ensure that spring brings a wealth of flowers and healthy new growth. This is especially important with rental property, as beneficial plants are easier to care for than weeds. Although your lawn and deciduous trees appear to be dead in the winter, they are actually dormant. That means that all new growth is occurring underground. Here are some tips for lawn care and for taking care of your garden in the winter, so that you have less maintenance in the spring. Believe it or not, a healthy lawn is really easier to care for than a sparse lawn. You have to mow it, of course, but the lawn grasses will choke out most weeds. This means that you will have to tend the lawn less often, and will not have renters calling about weed problems. With a few simple preparations, a lawn will do far more than survive a harsh winter. It will thrive the following spring. 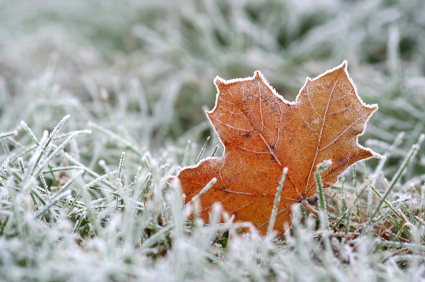 The freeze-thaw cycle is actually very beneficial to your lawn and garden. As it becomes saturated with snow melt, and re-freezes at night, the soil heaves. This aerates the soil and allows it to absorb nutrients. The loosened soil is a perfect medium for small feeder-roots to thrive, in preparation for a vigorous spring growth. It is a good idea to winterize your lawn and garden. This is easily done with the proper combinations of phosphates and nitrogen. Water the mixture in to give it a chance to dissolve and absorb into the soil. There, it will condition the soil throughout the winter, helping to protect the roots of lawn grasses and perennial plants from the harshest of winter freezes. With rental property, you probably do not have many flowerbeds in place. If you do, you probably do not spend a lot of time tending them. To keep these beds trim and looking nice, you need to mulch. 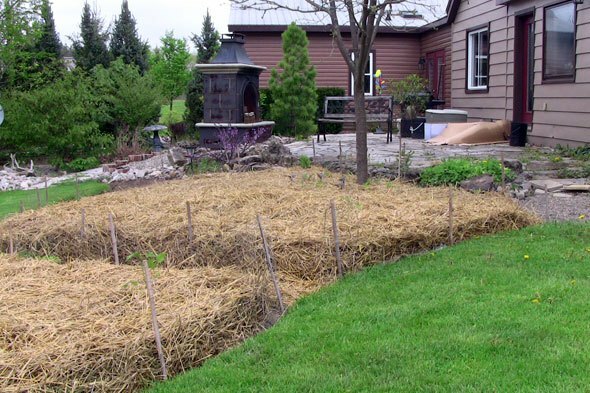 In general, your mulches should be composted. While raking dropped leaves into your flowerbed may choke out any weeds that would emerge in the spring, the leaves will sap valuable nitrogen out of the soil as they decompose. That is why a compost bin is so valuable. The vegetation goes through its decomposing stage without sapping the soil, and reaches a balance in which it can return value to the soil. Mulch will also help to protect more sensitive plants from harsh weather. In some cases, your rental property may have a specimen tree, bush, or flower that you value, but cannot be on site to tend. Mulch holds water in so that soil does not dry out. By preventing dry roots in the wintertime, plant health is more likely. Mulch also keeps weed seeds from germinating in the spring. With rental property, it is often a temptation to relax on lawn care. However, a healthy lawn improves your property, and is easier to care for.